Kirsty Young's castaway is comedian Steve Coogan. 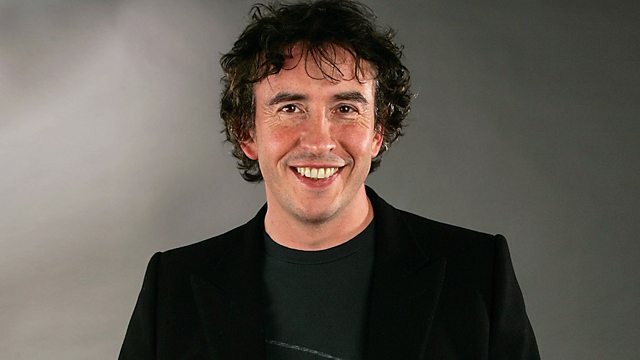 Kirsty Young's castaway is the comedian and actor Steve Coogan. As a child he found he had a knack for impressions, a talent which led him to work on Spitting Image. Recently he has also found success in films, but is best known for the comic monster he created - Alan Partridge. The chatshow host in Pringle jumper and slacks made us cringe with his crass questions and witless interventions and has remained one of our most enduring comic anti-heroes. Luxury: Fully-restored Morris Minor Traveller with wooden detail. The Best Sixties Album in the World Ever. Variations on an Original Theme, Op. 36: Variation IX "Nimrod"